... he was 65 years-old when he died from pneumonia and a stroke. Jazz trumpeter, bandleader, and composer Miles "Dewey" Davis III is considered by many as one of the most influential musicians of the 20th century, Miles was, with his many musical groups, at the forefront of several major developments in jazz music, including bebop, cool jazz, hard bop, modal jazz, and jazz fusion. 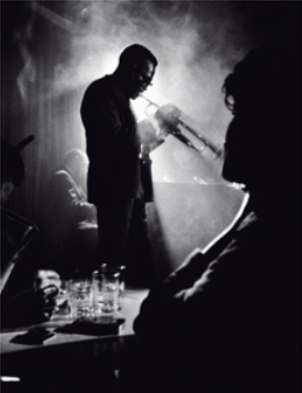 Many well-known musicians rose to prominence as members of his ensembles, including saxophonists Gerry Mulligan, John Coltrane, Cannonball Adderley, George Coleman, Wayne Shorter, Dave Liebman, Branford Marsalis and Kenny Garrett; trombonist J. J. Johnson; pianists Horace Silver, Red Garland, Wynton Kelly, Bill Evans, Herbie Hancock, Joe Zawinul, Chick Corea, and Keith Jarrett; guitarists John McLaughlin, John Scofield and Mike Stern; bassists Paul Chambers, Ron Carter, Dave Holland, Marcus Miller and Darryl Jones ; and drummers Philly Joe Jones, Jimmy Cobb, Tony Williams, Billy Cobham, Jack DeJohnette, and Al Foster. On October 7th 2008, his album Kind of Blue, released in 1959, received its fourth platinum certification from the RIAA, signifying sales of 4 million copies. Miles has been acknowledged with many awards including 10 Grammy awards, 3 Down Beat magazine awards, Sonning Music Award for lifetime achievement and an Australian Film Institute Award. He was inducted into the Rock and Roll Hall of Fame, Hollywood Walk of Fame, and St. Louis Walk of Fame. 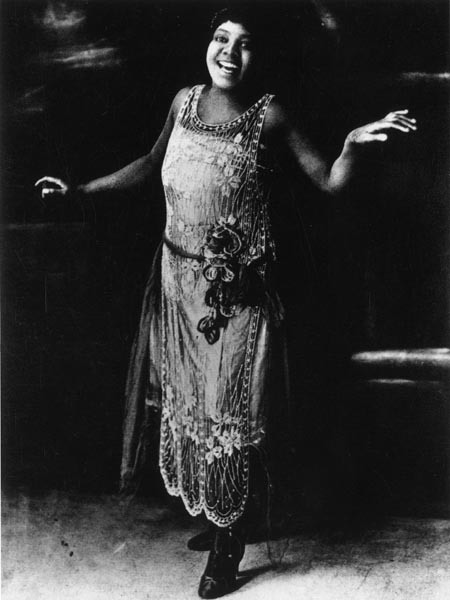 Sept. 26: "The Empress of the Blues," Bessie Smith died on this day in 1937..
Born in 1892 or 1894, in Chattanooga, Tennessee - the records are sketchy- Bessy Smith was the most popular female blues singer of the 1920s and 1930s. She is often regarded as one of the greatest singers of her era and, along with Louis Armstrong, a major influence on subsequent jazz vocalists. To earn money for their family, Bessie and her brother Andrew began busking on the streets of Chattanooga as a duo: she singing and dancing, he accompanying her on guitar. Their favorite location was in front of the White Elephant Saloon at Thirteenth and Elm streets in the heart of the city's African-American community. 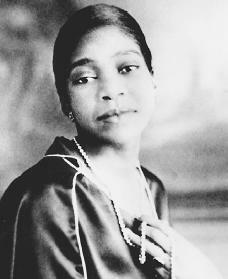 Bessie Smith was signed by Columbia Records in 1923 and for most of that year, her records were issued on Columbia's regular A- series. When the label decided to establish a "race records" series, Smith's "Cemetery Blues" (was the first issued. She scored a big hit with her first release, a coupling of "Gulf Coast Blues" and "Downhearted Blues." Smith became the highest-paid black entertainer of her day. 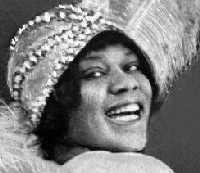 She made some 160 recordings for Columbia, often accompanied by the finest musicians of the day, most notably Louis Armstrong, James P. Johnson, Joe Smith, Charlie Green and Fletcher Henderson. In 1929, Smith made her only film appearance, starring in a two-reeler titled St. Louis Blues, based on W. C. Handy's song of the same name. 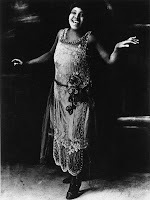 In the film, directed by Dudley Murphy and shot in Astoria, she sings the title song accompanied by members of Fletcher Henderson's orchestra, the Hall Johnson Choir, pianist James P. Johnson and a string section — a musical environment radically different from any found on her recordings. Smith was critically injured in a car accident while traveling along U.S. Route 61 between Memphis, Tennessee, and Clarksdale, Mississippi. Bessie was taken to Clarksdale's Afro-American Hospital where her right arm was amputated. She died that morning without regaining consciousness. ... he was 54 years-old when he died from a heart attack. 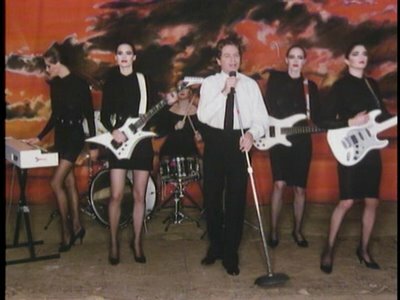 Born in Batley, Yorkshire, England, Robert Allen Palmer was a two-time Grammy Award winning singer-songwriter. 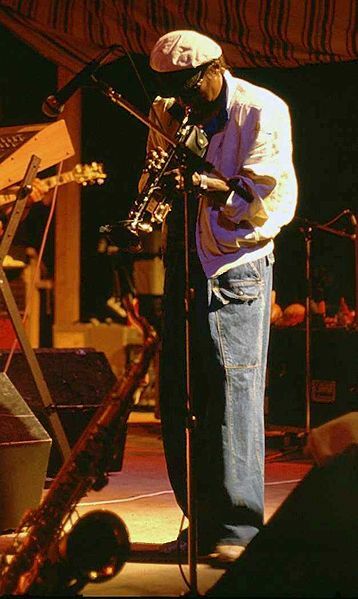 He was known for his distinctive voice and the eclectic mix of musical styles on his albums, combining soul, jazz, rock, pop, Reggae and blues. He found success both in his solo career and in the group Power Station, and had Top 10 songs in both the US and the UK. His music videos for the hits "Simply Irresistible" and "Addicted to Love," featured identically dressed dancing women with pale faces, dark eye makeup and bright red lipstick, which resembled the women in the art of Patrick Nagel, an artist popular in the 1980s. Sharp-suited, his involvement in the music industry commenced in the 1960s, covered five decades and included a spell with Vinegar Joe. 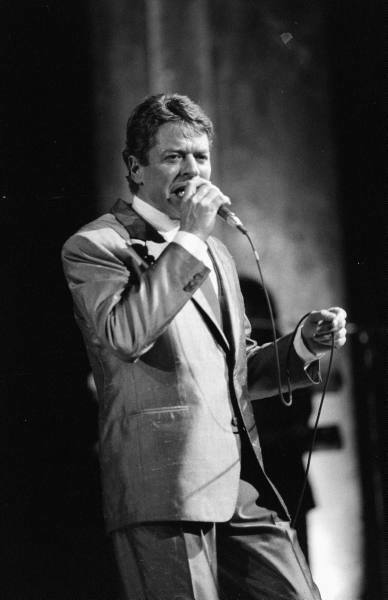 Sept. 24: Singer Eddie Fisher has died at 82 from complications after hip surgery. 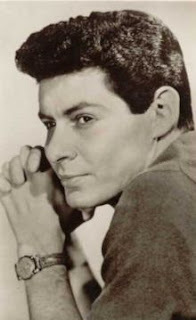 Edwin Jack "Eddie" Fisher, was one of the world's most famous and successful singers in the 1950s, selling millions of records and having his own TV show. 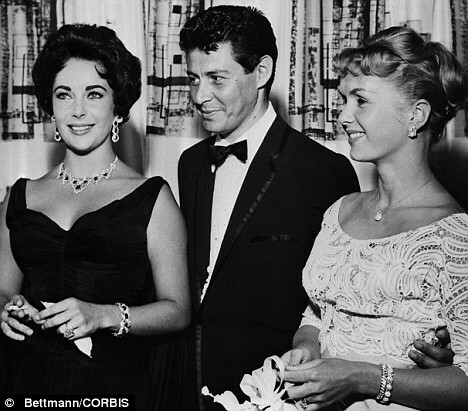 He was married five times including marriages with Debbie Reynolds, Elizabeth Taylor, and Connie Stevens. His divorce from his first wife, Debbie Reynolds, to marry his best friend's widow, Elizabeth Taylor, garnered scandalously unwelcome publicity at the time. Born in Philadelphia, Fisher was the fourth of seven children of Russian-born Jewish immigrants. His father's surname was originally Tisch or Fisch, but was anglicized to Fisher upon entry into the United States. To his family, Eddie Fisher was always called "Sonny Boy" or "Sonny," which may have been related to the song made famous by Al Jolson. It was known at an early age that he had talent as a vocalist and he started singing in numerous amateur contests, which he usually won. He sang on the radio in high school and was later on Arthur Godfrey's Talent Scouts, a popular contest that was broadcast over the radio before moving to television. The bands of Buddy Morrow and Charlie Ventura. He was heard by Eddie Cantor at Grossinger's Resort in the Cat of upstate New York in 1949. Upon joining Cantor's radio show he was an instant hit and gained nationwide exposure. 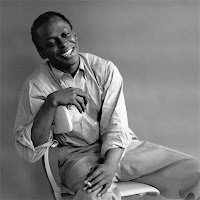 He was then signed to a contract with RCA-Victor Records. Fisher was drafted into the Army in 1951 and sent to Texas for basic training. He served a year in Korea. The photos of him in uniform during his time in the Service did not hurt his civilian career, after his discharge he became even more popular singing in top nightclubs. He also had a variety television series, Coke Time with Eddie Fisher (NBC) (1953)-(1957), appeared on Perry Como's show, The Chesterfield Supper Club, the George Gobel Show, and had another series, The Eddie Fisher Show (NBC) (1957)-(1959). A pre-Rock and Roll vocalist, Eddie Fisher's strong and melodious tenor made him a teen idol and one of the most popular singers of the 1950s. 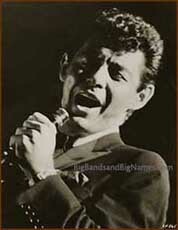 He had seventeen songs in the Top 10 on the music charts between 1950 and 1956 and thirty-five in the Top 40, which included the 1955 song "I Love You." In 1956, Fisher costarred with wife Debbie Reynolds in the musical comedy Bundle Of Joy. 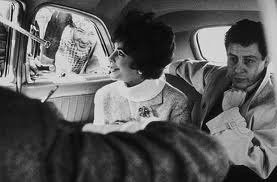 He played a serious role in the 1960 drama Butterfield 8 with wife Elizabeth Taylor. His best friend was showman/producer Mike Todd, who died in a plane crash in 1958. Fisher's affair and subsequent marriage to Todd's famous widow caused a show business scandal because he and his first wife, also famous, had a very public divorce. In the 1960s he changed recording labels, moving to Ramrod Records. He also recorded for Dot Records. He then returned to RCA and had a minor singles hit in 1966 with the song Games That Lovers Play, which became the title of his best selling album. His last album for RCA was an Al Jolson tribute, You Ain't Heard Nothing Yet. 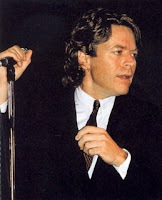 In 1981, he wrote his autobiography, Eddie: My Life, My Loves. He wrote another book in 1999 titled Been There, Done That. Eddie Fisher has two stars on the Hollywood Walk of Fame, one for Recording, and one for TV. 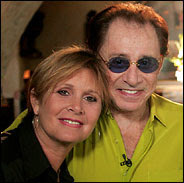 Fisher is the father of two children by Reynolds, actress Carrie Fisher and Todd Fisher, and he is the father of two children by Stevens, actress Joely Fisher and actress Tricia Leigh Fisher. .. he was 81 when he died from congestive heart failure. 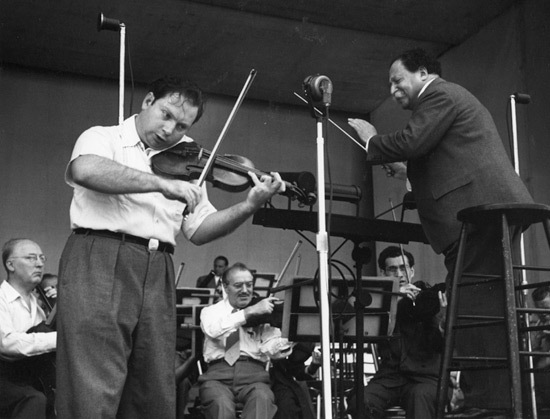 The Ukrainian-born violinist was fourteen months old when his family moved to San Francisco. 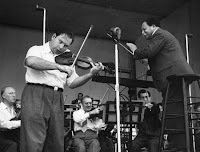 He received his first music lessons from his mother before enrolling at the San Francisco Conservatory of Music in 1928 where he studied until 1931 before going on to study privately with Louis Persinger. 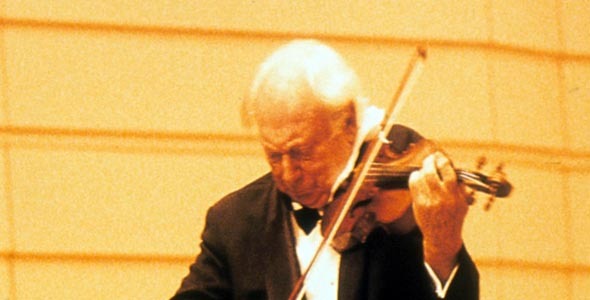 He returned to the San Francisco Conservatory to study with Naoum Blinder for five years. 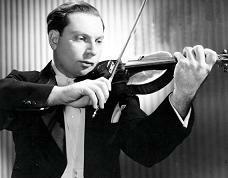 Stern was best known for his recordings and for discovering new musical talent. Isaac recorded concertos by Mendelssohn, Brahms, Bach, Beethoven, Tchaikovsky, and Vivaldi and modern works by Barber, Bartók, Stravinsky, Bernstein and Dutilleux. 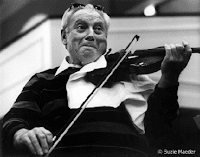 His discoveries include cellists Yo-Yo Ma and Jian Wang, and violinists Itzhak Perlman and Pinchas Zukerman to mention a few. 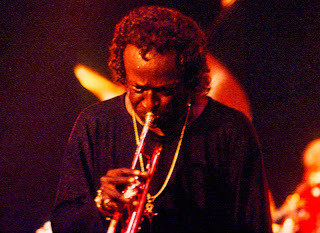 Among his many awards, he has been honored with 4 Grammy Awards for Best Instrumental Soloist Performance with orchestra in 1962, 1963, 1965 and 1982; 2 Grammy Awards for Best Chamber Music Performance in 1971 and 1992; and received the Lifetime Achievement Grammy Award in 1987.